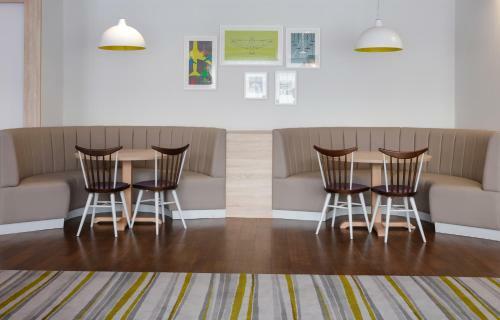 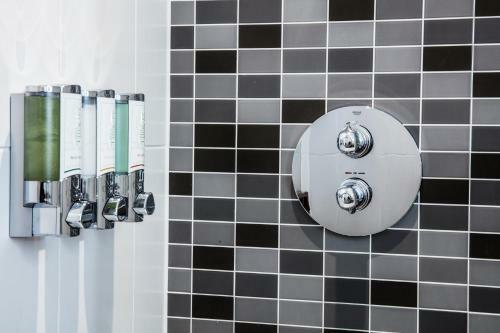 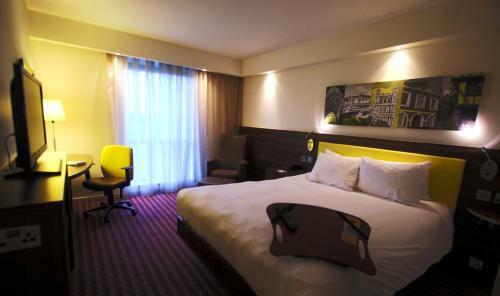 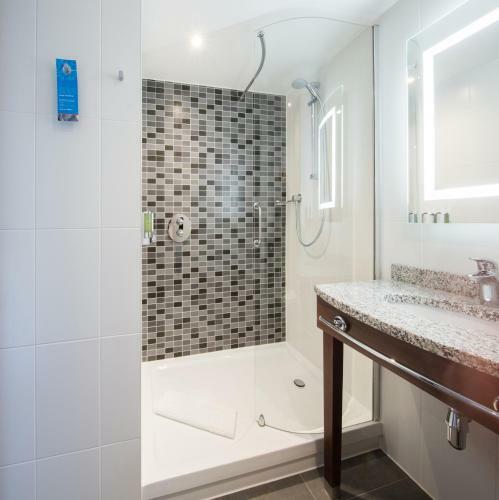 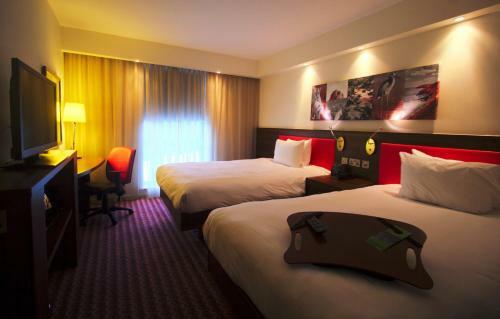 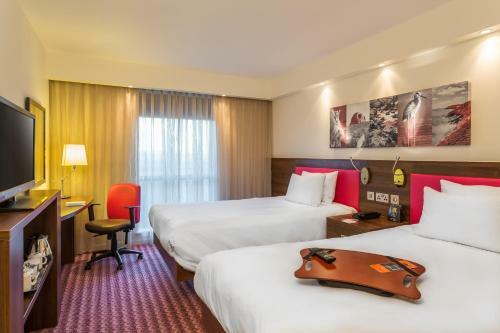 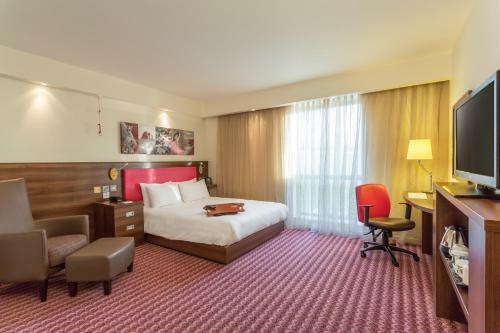 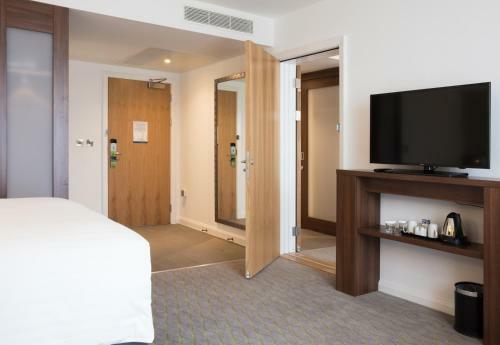 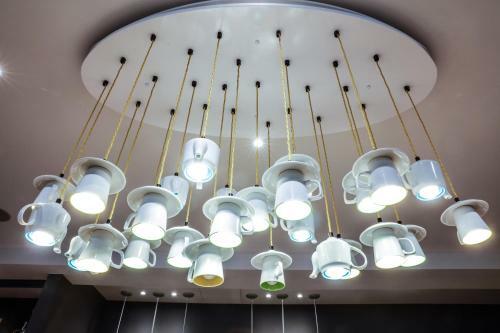 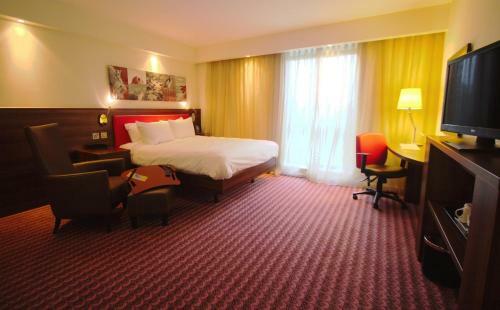 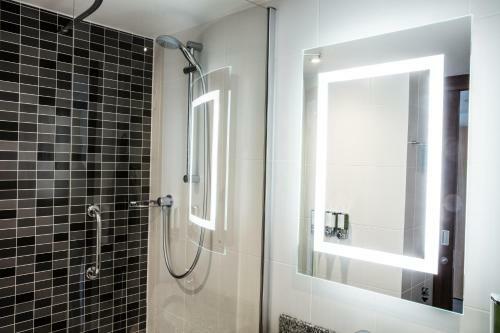 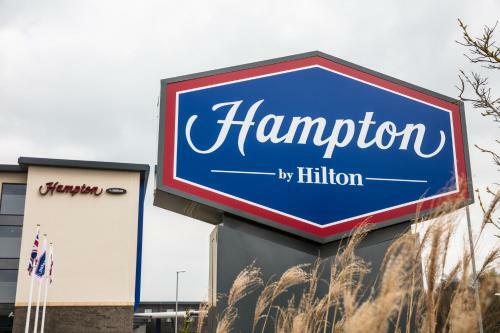 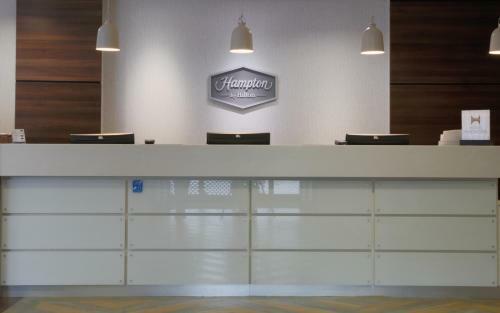 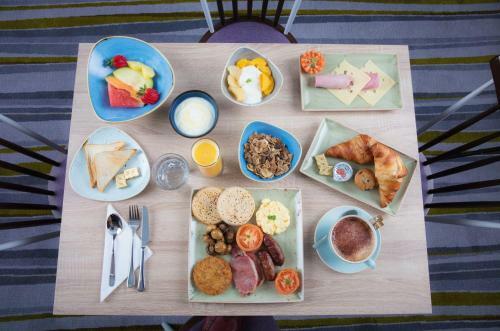 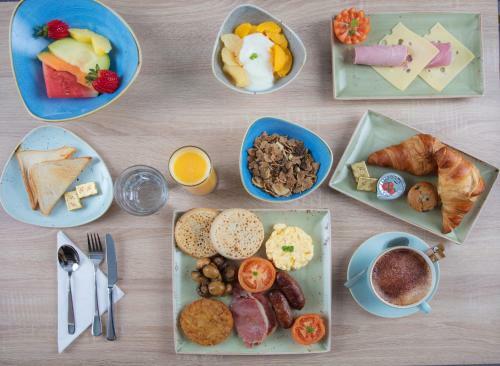 The Hampton by Hilton is a modern hotel offering 160 bedrooms. 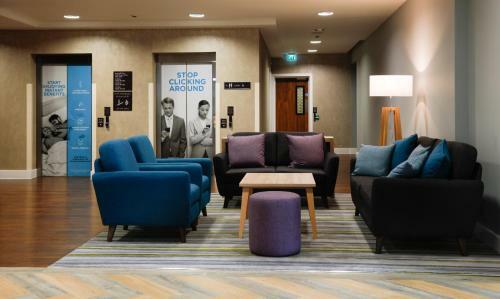 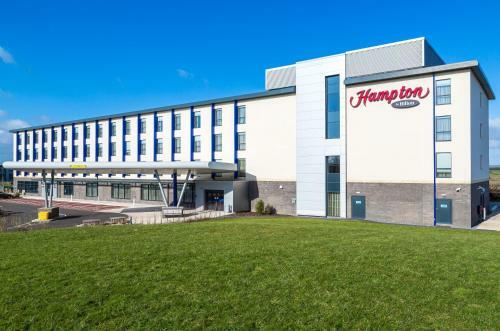 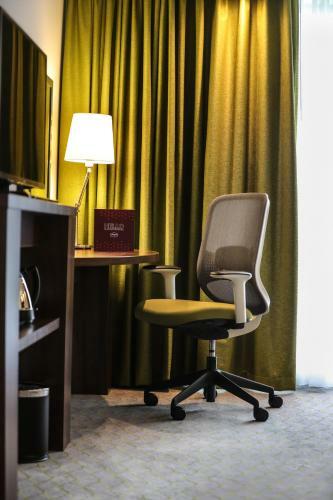 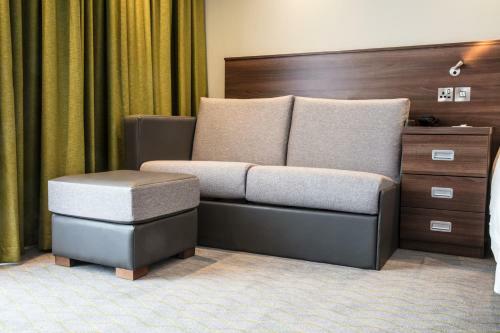 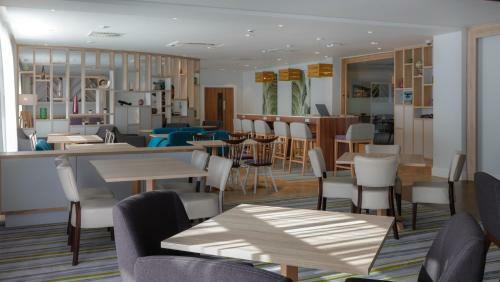 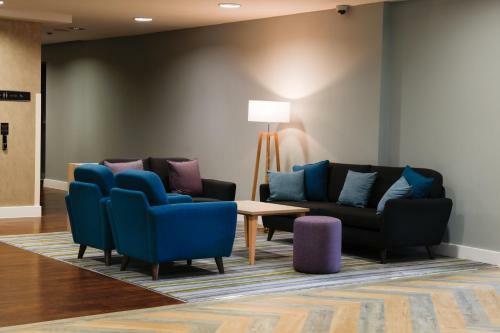 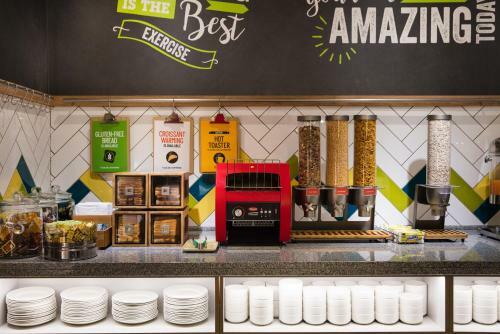 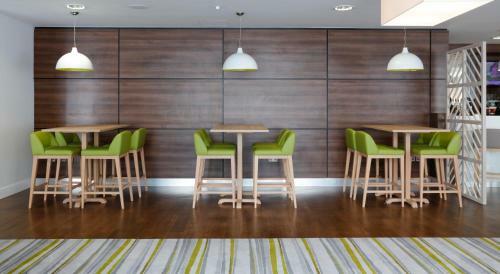 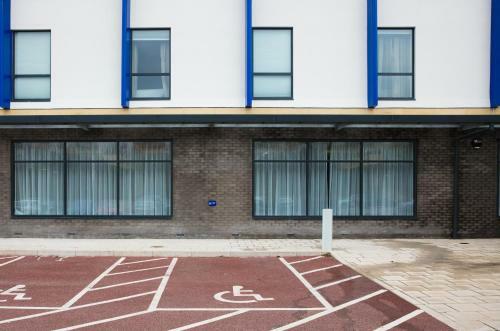 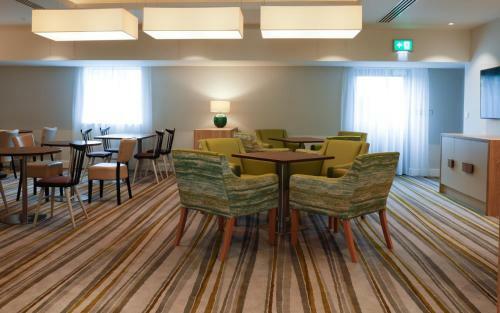 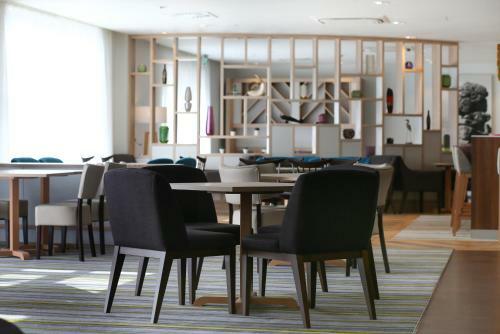 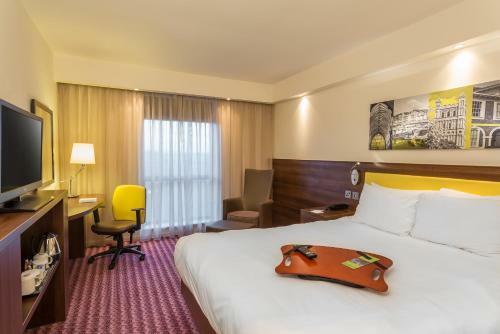 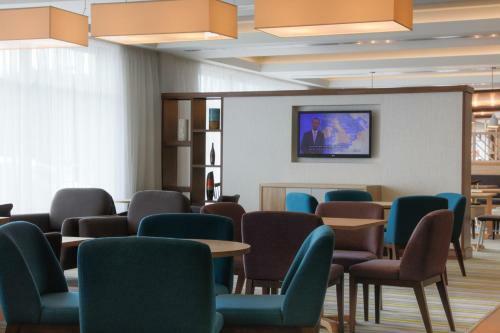 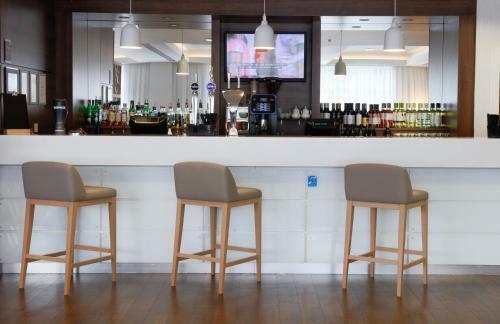 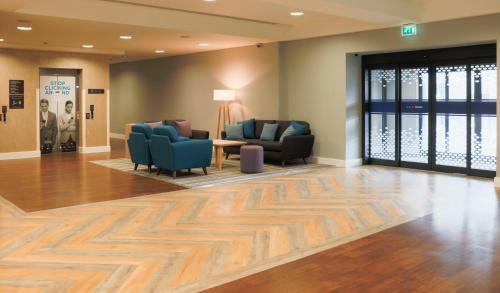 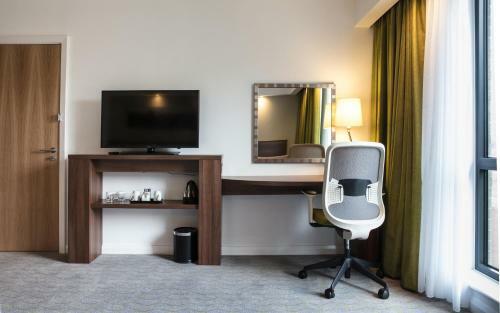 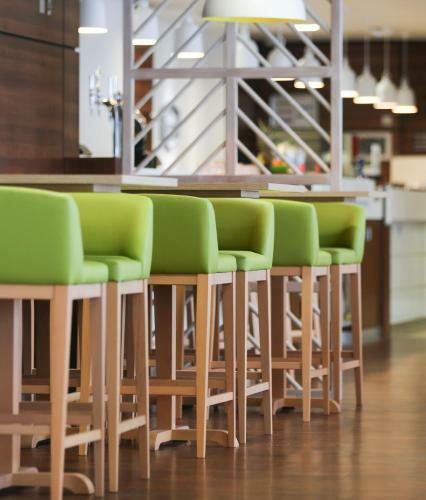 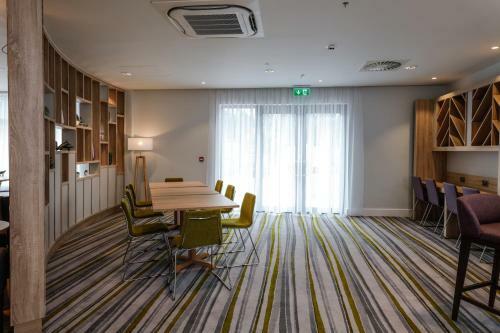 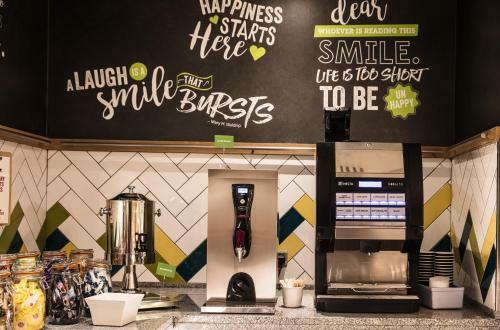 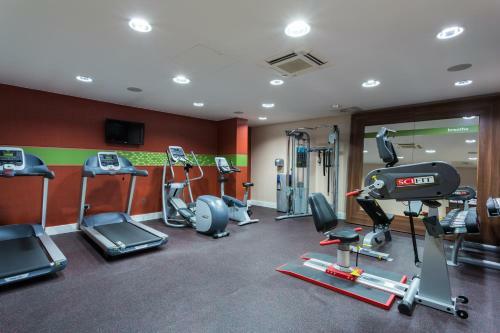 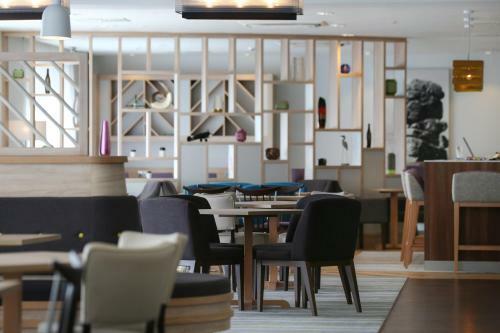 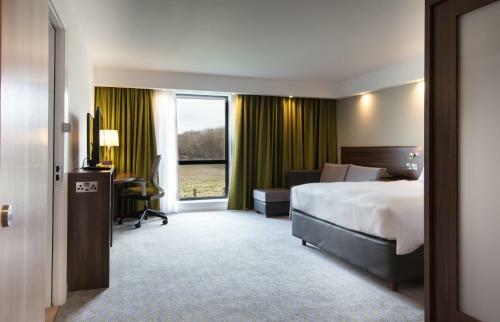 It's located adjacent to Exeter airport and only 5 minutes’ drive from the M5 motorway, Hampton by Hilton Exeter Airport offers free on-site parking, a fitness centre and free Wi-Fi. 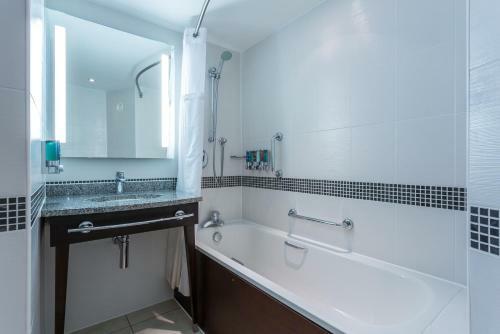 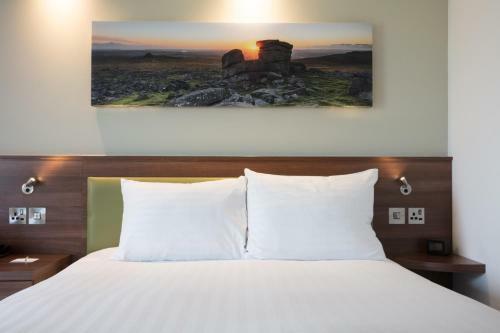 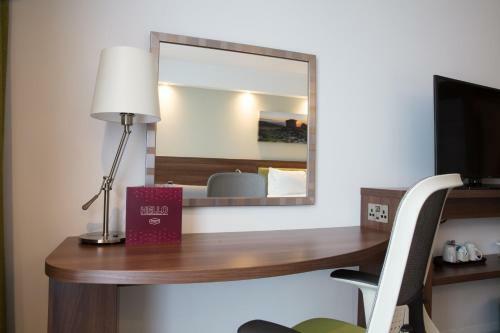 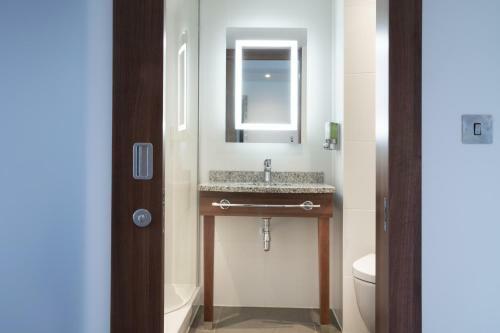 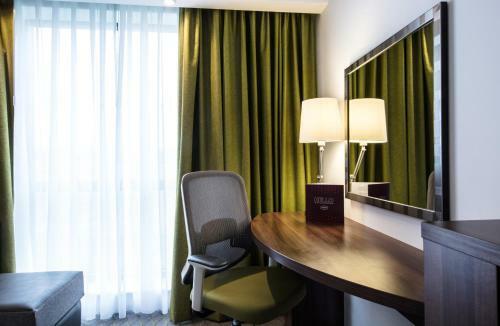 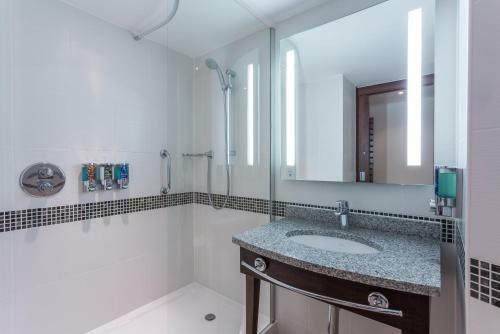 Bedroom facilities include a high definition TV, a desk, tea/coffee making facilities, a hairdryer, ironing facilities and complimentary toiletries. 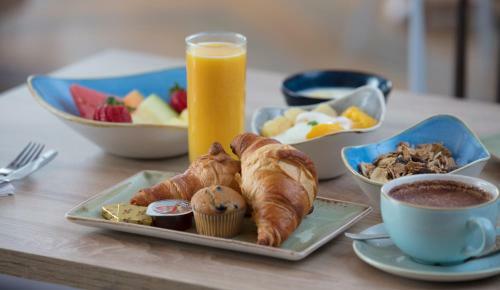 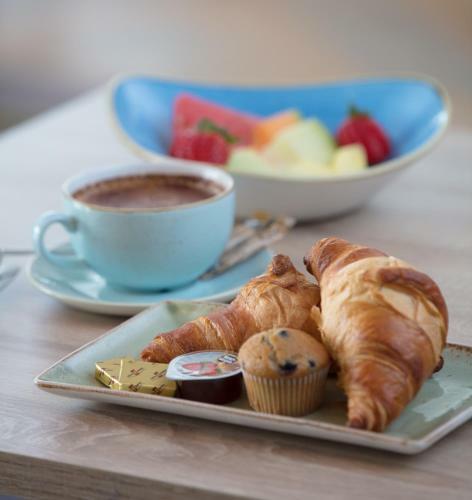 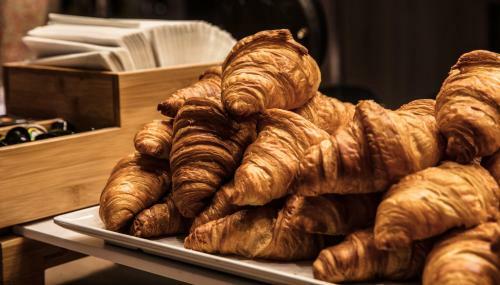 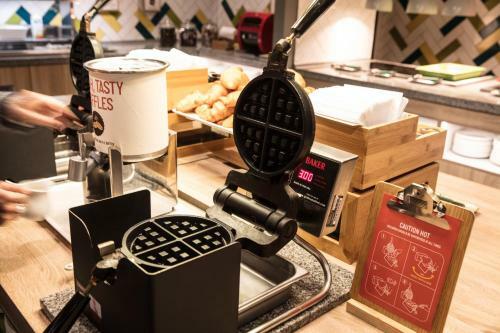 A Hampton breakfast buffet of hot and cold items including homemade waffles, is available each morning from 06:00 onward in the dining area. 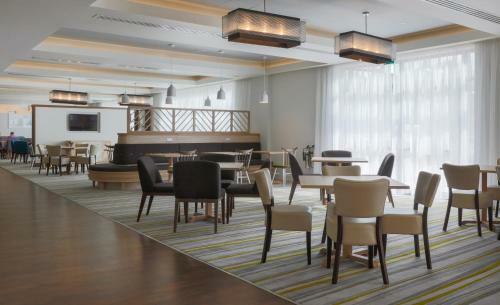 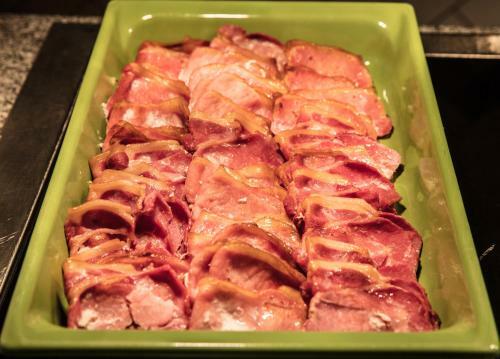 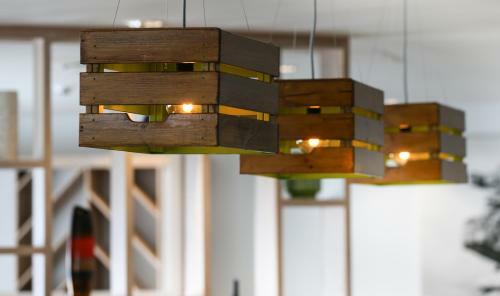 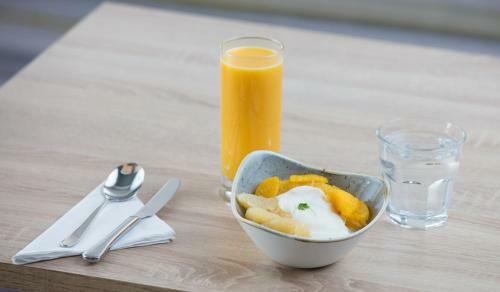 The property features a daily changing buffet menu with a focus on local produce. 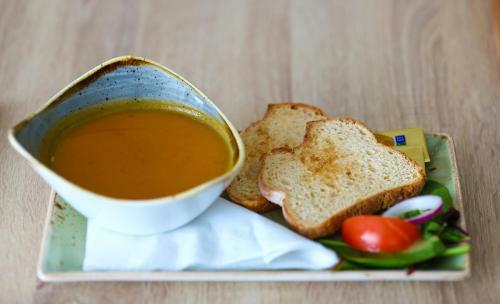 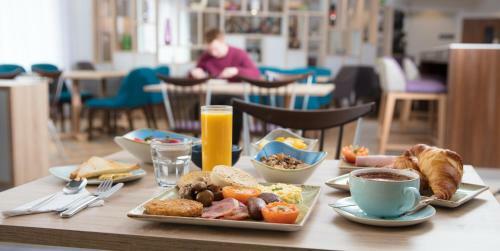 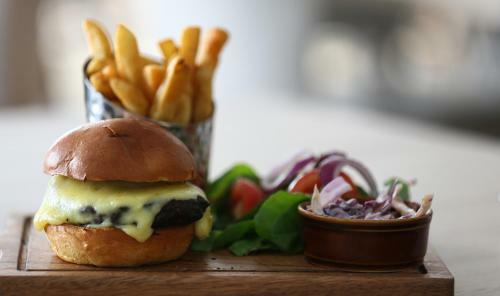 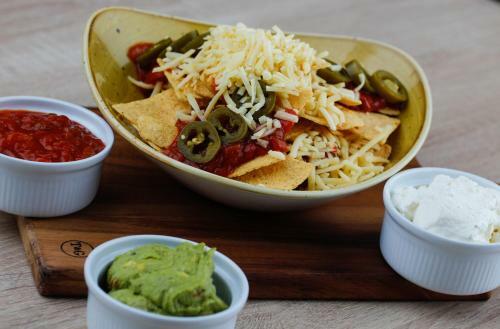 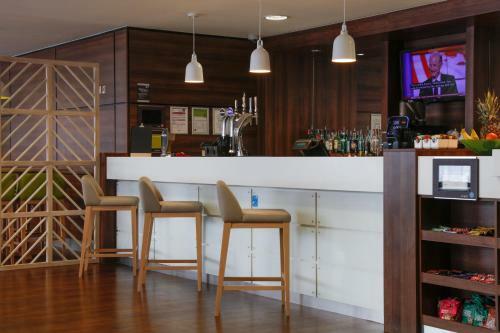 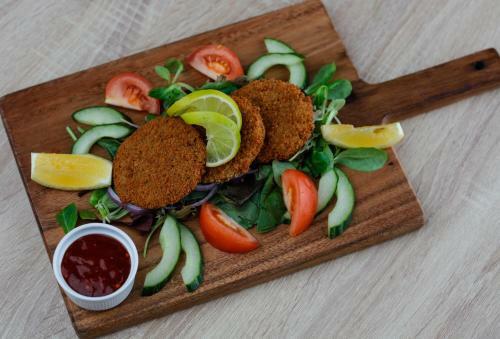 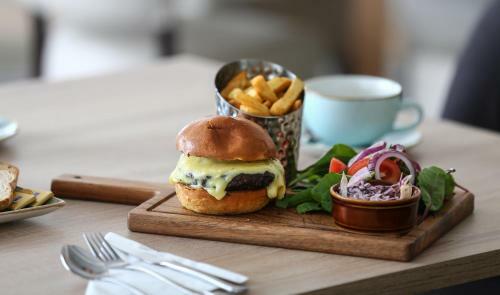 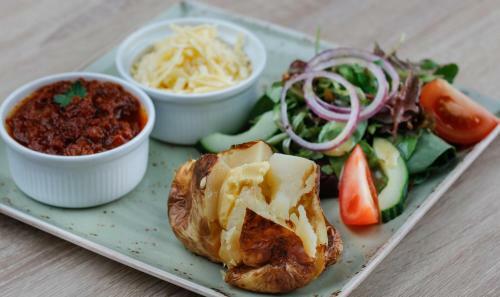 The bar also offers a food menu, a variety of hot and cold drinks, chocolates, homemade cakes and snacks. 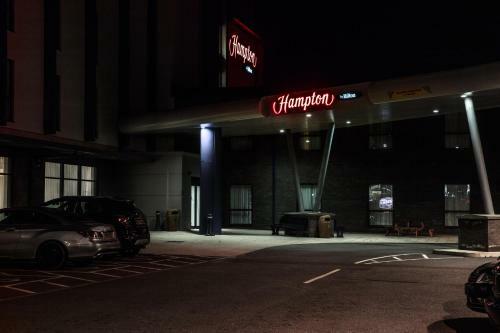 This hotel offers a 24 hour, on-demand shuttle service which is available to all guests using the pick up and drop off points outside the hotel entrance. 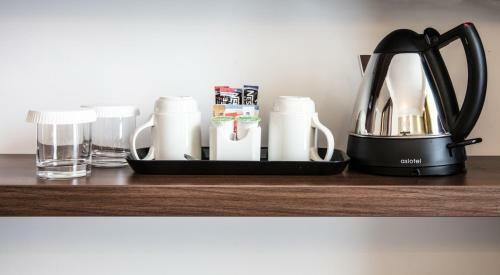 Surcharges do apply. 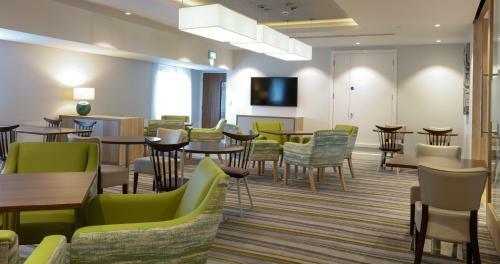 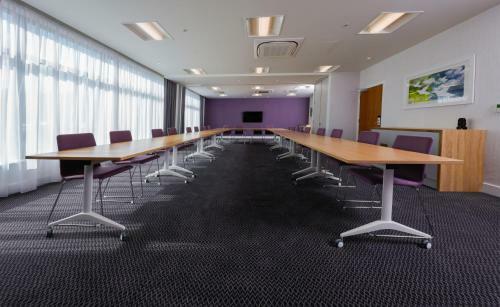 Guests can use the property's 3 meeting rooms for a surcharge, and there is the Executive Lounge and chill out spaces available too. 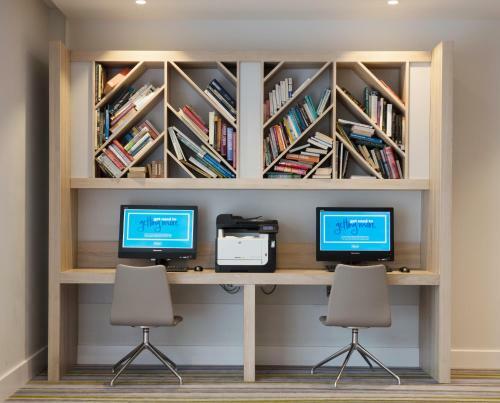 There is a complimentary printing service which guests are welcome to use. 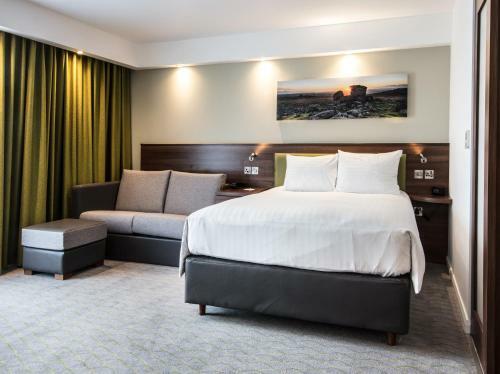 Exeter city centre and Exeter St. Davids train station are just a 15-minute drive away and features a historic cathedral, Roman ruins and a medieval underground passage dating back to the 14th century. 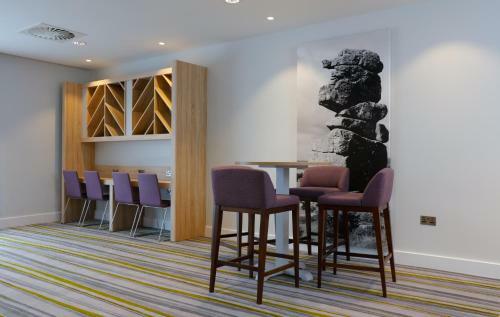 The Jurassic Coast can be reached in just 25 minutes by car, as well as the seaside resort of Exmouth. 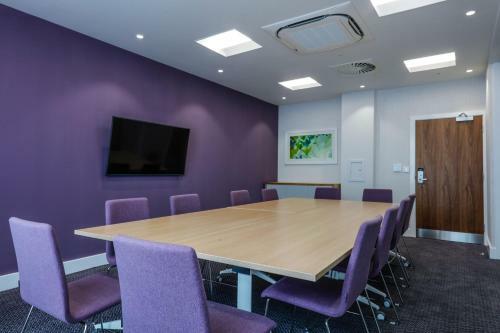 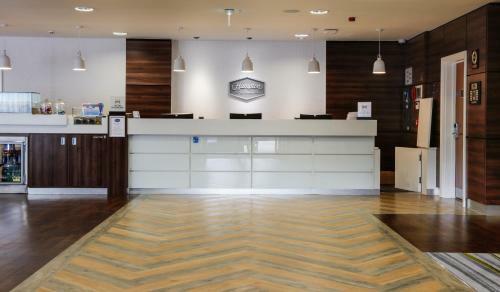 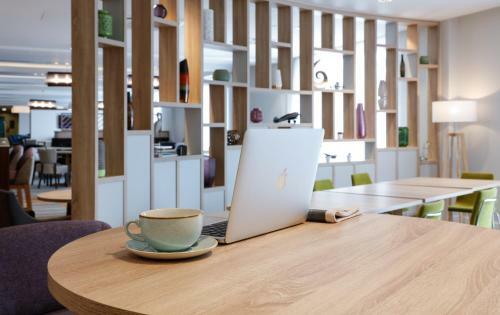 Located within 4 miles of several corporate head offices including EDF Energy, Met Office, and Liverpool Victoria. 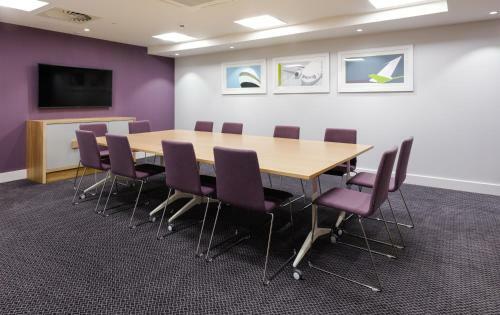 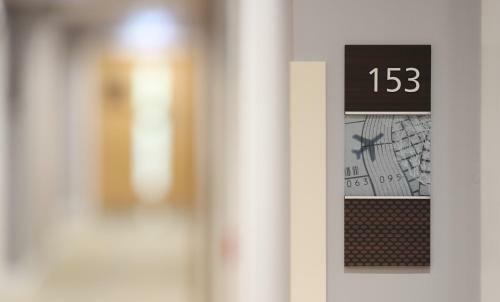 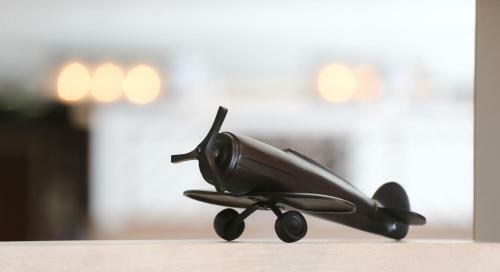 Flybe head office is just a 2-minute walk away at Exeter Airport. 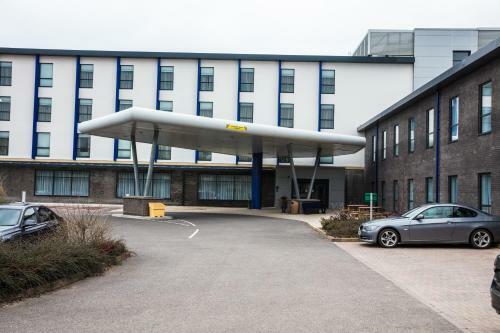 Devon County Council can be reached within 7 miles. 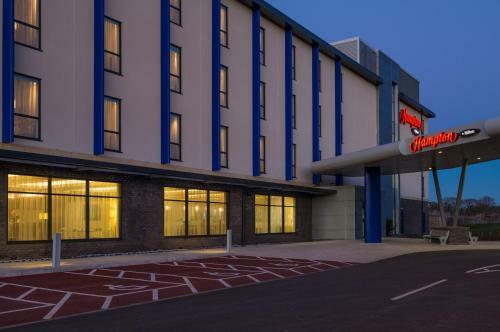 Exeter Science Park and Exeter Skypark are both within 2 miles of the hotel. 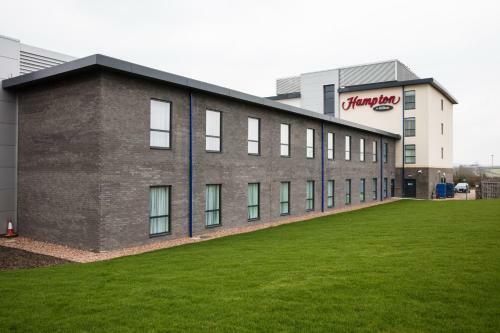 the hotel Hampton by Hilton Exeter Airport so we can give you detailed rates for the rooms in the desired period.